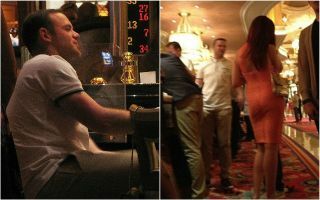 Former Manchester United and England star Wayne Rooney reportedly accepted an invitation to join barmaid Vicki Rosiek on a boozy night out. While there is no hint of anything romantic going on between the pair, she apparently gave him a lift to join her and her friends as he took a break to unwind from pre-season duties with MLS club DC United in Florida. This is what she told the Sun, with Rooney seemingly just a down-to-earth guy looking to enjoy himself and mix with regular people. The 33-year-old is one of the finest players of his generation, so can be forgiven for taking things a little easier in the latter years of his career. Still, this isn’t exactly ideal timing for Rooney, who just a few months ago was arrested for being drunk in public at a US airport, as noted by the Daily Mirror. Occasional off-the-field problems have plagued Rooney throughout his career, though he’s largely got over them and this doesn’t seem anything like a big scandal by any means.